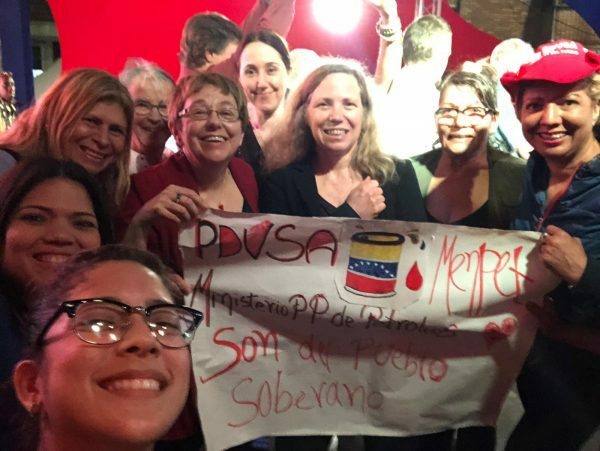 The attack mobilized more people in the US and around the world to oppose the US coup calling for ‘Hands Off Venezuela,’ an end to the sanctions and an end to threats of war. 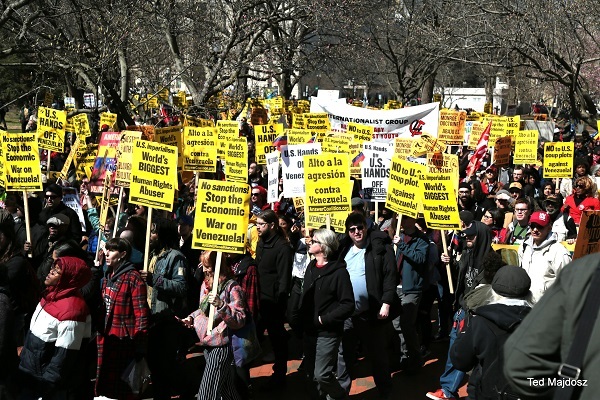 Another mass march in support of Venezuela is scheduled in Washington, DC on March 30. We agree with Vijay Prashad, solidarity is a process, not a slogan. We plan to build on the relationships we developed with the US Peace Council, World Peace Council and COSI among others. We will provide a list of items that COSI needs for their ongoing organizing in Venezuela, but so far they told us they need computers, printers and paper. They also need donations (a little goes a long way). They don’t have a website yet. If you can donate, contact us at info@popularresistance.org and we’ll find a way to get it to them. Join the March 30 Mobilization Against the US Coup in Venezuela and the No to NATO protests in Washington, DC. Thanks you folks at P.R. for doing us a great service, you are brings me a first hand accurate account of what is really happening in Caracas. Refreshing. I have been in Caracas several times, was privileged to see Hugo Chavez in person. I went to the beach, traveled on the funicular to the mountain top, had great inexpensive dinners, made lasting friends. Great city. If it werent for the US interference with my pension, I would have retired there, It has everything anyone could possibly want. Great work that you all are doing! Just posted this article to Facebook. We’ve had 3 actions of 50-60 folks in Miami these past 6 weeks. There is a significant number of right-wing Venezuelans who aggressively challenge our protests, but we are not afraid. What we need is what you are offering – education and focus. Thanks much. See you in DC in a week and a half at the anti-NATO actions. Thanks for taking this issue whete tje wealthe x-pat Venezuelans are stringest. They need to see people in the US standing up and telling the truth. Maduro loves the United States??? Idiotic. 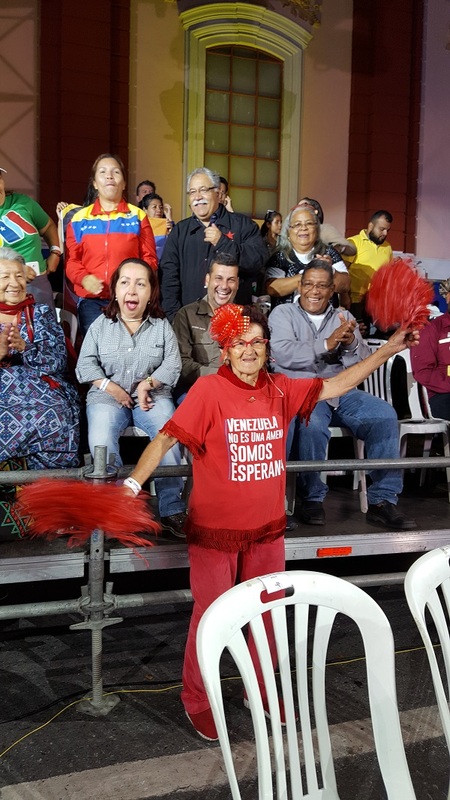 It would be useful to know how the Venezuelan population regards Maduro. Who could be a genuine successor to Maduro not beholden to US interests? How difficult is the inflation situation? How is the oil sector managing? Will the military leaders continue to support Maduro? 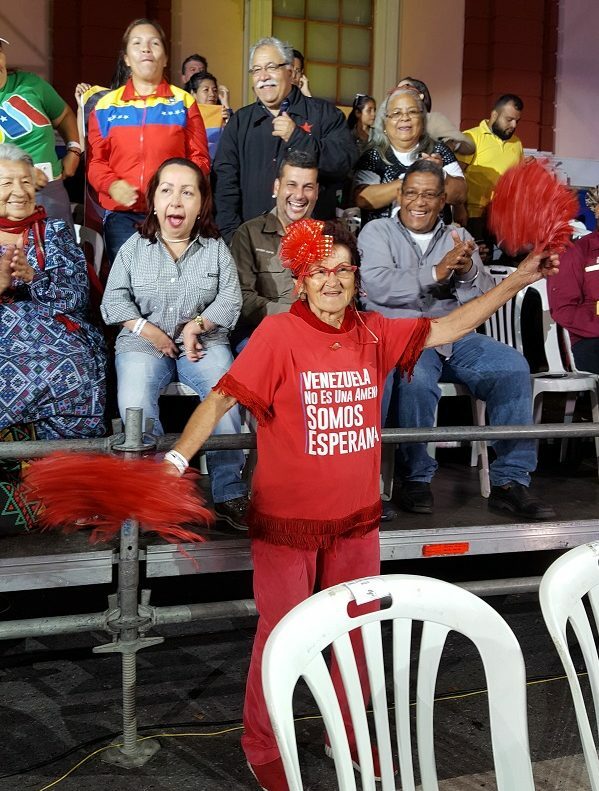 The best measure for how the people of Veneuela feel about Maduro is the 9 million votes he received in last year’s election. That is a higher percentage of eligible voters than either Trump or Obama received. This 68% of the vote was found by election observers to be won in a fair and reliable election. The more than 150 election observers unanimously found the election was legitimate. We discuss this in the article. Maduro won a six year term last year, so a successor is not an issue for several years. Who will be the US president then? Will the US come to its senses and respect the independence and sovereignty of Venezuela? Despite US bribes and threats the Venezuela military still support Maduro and the elected government. 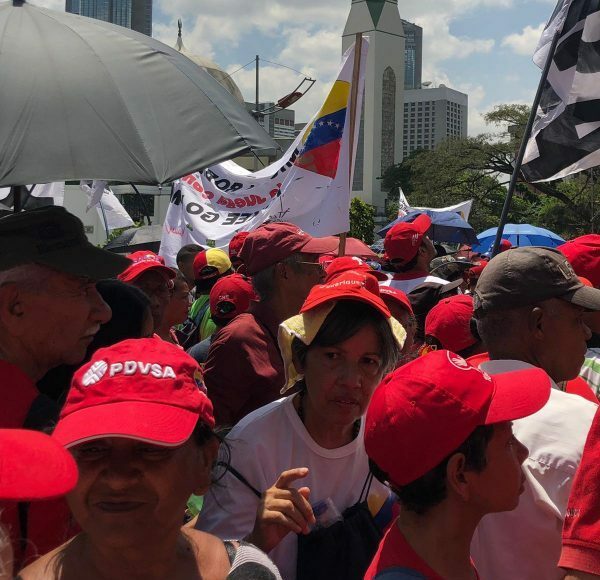 Guaido is seen as a farce and a fraud in Venezuela. Only the US and its allies claim Guaido is legitimate — he isn’t. His self-appointment violated the Venezuela Constitution. This is also discussed in the article above. All sectors of the economy and inflation are struggling primarily due to US sanctions. The inflation is caused in large part by US ratings agencies. If people want to see the economy in Veneuela improve, the long US economic war must be ended. It is illegal under international law as a coercive measure that violates the UN Charter and other international agreements. The problem in Venezuela is not Maduro, the problem is the United States. Read the article and the links and many of your questions will be answered.